Web design is a process of creating websites. 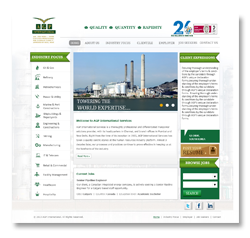 It includes several aspects like webpage, layout, graphic design and content production. 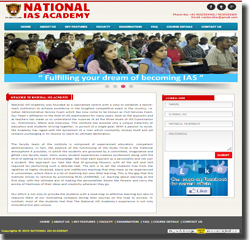 It is concerned with visual aspect of the website like color, images, typography and layout. 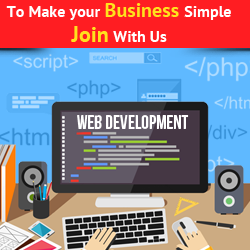 Web development is all about code which creates a website. It can be divided into two categories- front-end and back-end. The front-end or client-side of an application is the code responsible for assessing how the website will actually exhibit the designs created up by a designer. The back-end is related to managing data within the database and serving that data to the front-end to be exhibited. Why it is important to have a website? Reason is simple. Customers and clients throughout the world need it. People throughout the globe either in Chennai or Mumbai, expect companies and products to offer online information about their business. If you don't have a business website, today's digital-savvy customers and clients may look elsewhere. Many of them expect businesses to have their own websites, just as like physical address. Not having a business website might raises questions in customers' eyes. Is the business real? Are the products genuine? Such a company can't even afford to do this? To avoid such questions, businesses need a website. If you have decided, choose the best one. Because, choosing a web design and development Company is similar to selecting a builder for your house. 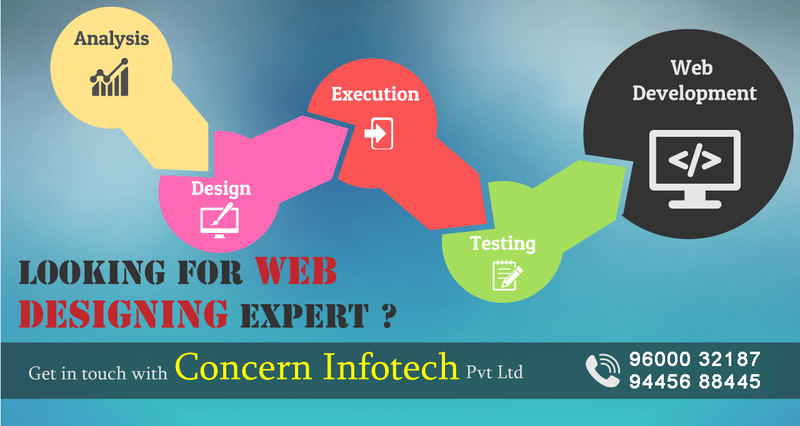 If you have more doubts speak to our developers who work for the top web development company in Chennai. Why business owners need to have unique website? Never maintain a web page on someone's website! If a business owner have a web page with business network or Chamber of Commerce or with a listing service in their industry or parent company. It is a good idea. However, that is not a website. Such network or listing offers contact information and a brief description of various businesses. It pushes the business owner into a wide category that generally includes their competitors. It doesn't offer the interaction with the customers that the business owner's own website would offer. Finally - it isn't owned or the owner doesn't have control over it. An individual web site brands them as unique and reveals their identity. The good news is that having that page with a parent or common business website will improve and empower your new website. It will drive more traffic to the individual site and put them one step ahead of the marketing game. What is a web development process ? A Web development process is a standard outline of the steps which are taken from start to finish in order completing a typical Web design project. It categorizes the project and work allocation and divides these high-level sections into tasks and resources that can be used as a road map for each project. Why business owners need a website, even if they don't sell online ? If a business owner sells that customers are looking for, then large number of people will search the Internet, because it's quick and easy. A professional business web site will place them in the running with others on the Internet. Think about it. If a customer is looking to buy a marble slab for his house on business service list in the internet and finds twenty dealers close to his home - among them if only one of the listings has a link to its own website. It is damn sure that the customer is going to go 'one click further' and click on that dealer's website. When scanning a list, people always look at the webpage to know more. Website link gives them that opportunity, where customer reaches the marble seller to buy the slab. How website can save money in long term ? Many small business owners feel that maintaining a professional website is costly. They should remember that the cost of traditional means of advertising, such as newspaper ads, radio commercials, and promotional materials could cost more. Even the cost of paying web designer/company to maintain and update the website comes less when compared to traditional mediums. It is a very cost effective way to promote their business long term. Is website more useful than social media promotions? A portfolio, image gallery or videos, as well as testimonials about the projects and work, can demonstrate what makes the company. One cannot compare website to social media promotions. But, social media channels like Pinterest, Instagram, Facebook the quality of photos or graphics is compromised and the size may be substantially reduced in social medias. Not only these media control people on how to interact with them and even who can view them. On the other hand, having a website, portfolio can be viewed by everyone anywhere and business owner in control of what people see, the quality and size of your photos, and how people interact with those photos. How website acts as a marketing channel ? Having a business website gives entrepreneurs an automatic online presence. Think of it as a digital listing. Instantly, they have another chance to introduce people to their products and services and another way for people to find them. For instance, asking customers to write their email addresses on paper at a physical storefront would sound odd. But getting people to type their email address into a box on a website is much, much easier - especially if they recognize or perceive that they're getting something for it, such as a free ebook or newsletter. And once getting their email address, business owner have another way to reach their potential customer. 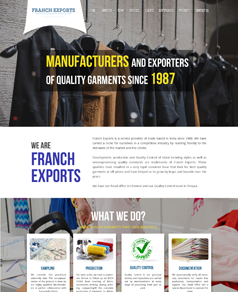 Why business professional need website, if they aren't into e-commerce ? Having a website isn't always about ecommerce. 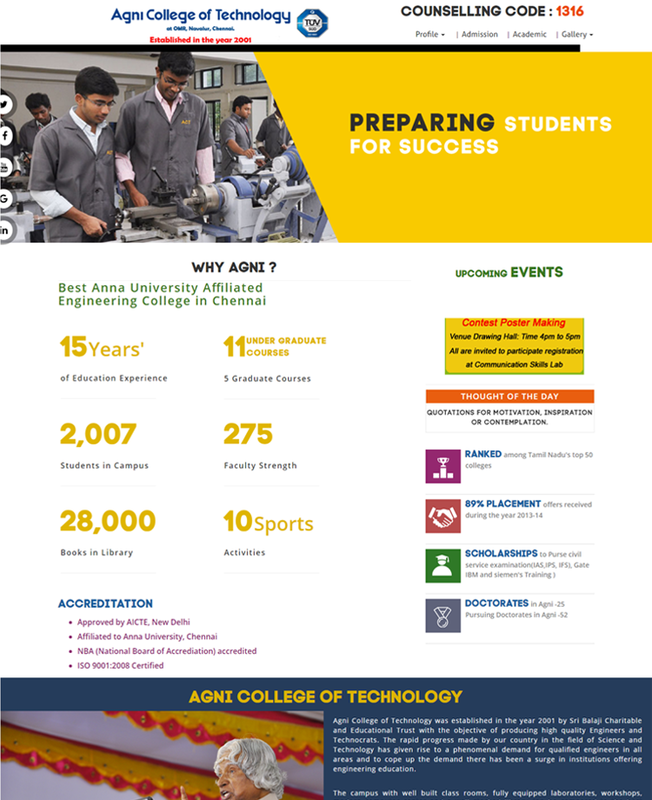 It is a place where one can showcase their works or projects to the world. Having a website is much cheaper than having a physical premise. When the costs are low, any businessman can concentrate on the other things. It also allows great scope for a greater spending on advertisement or just having more money in their pocket. How to get feedback From Customers ? Feedbacks are vital for any business growth. When an organisation provides, pass out the brochure, the catalog, the booklet it expects response. But it doesn't work, any business professional will keep on testing about color, price and market.. They eventually find out what went wrong, they would have ended up spending more money. With a feedback form from web page, they could get it instantaneously with no extra cost. An instant email response can be built into Web pages and can get the answer while it's fresh in the customer's mind, without the cost and lack of response to business reply mail. HTML5 stands for hypertext mark-up language used for shaping and improving the website content. HTML is a set of codes it tells the web browser how to display a Web page's contents and images1 for the user. It introduces mark-up and application programming interfaces (APIs) for difficult web applications. Static websites are bound to extinct, an interactive website is the one which fulfils the customer criteria and are now mostly preferred rather than a dedicated web developer to preserve the old static site. 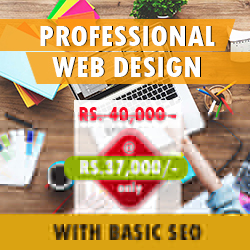 As a best web portal development company, We design static websites as per required by the customer with HTML5, as nowadays more information and functionality on a website is on a huge demand. HTML5 is a new generation. HTML5 is the most accepted latest mobile web and mobile app development program used in today's world. It takes the user and the developer's viewing and building experience to the other level. HTML5 offers new features and capabilities which are designed for easy to incorporate and handle multimedia and graphical content on web without having any choice to corrective plugins and APIs. The API's and Document Object Model (DOM) are no longer second choice, whereas they are the essential parts of the required HTML5. It also defines in detail the necessary conversion for invalid document, so that the syntax errors will be treated evenly by all the disaffected browsers. Can be used on all major browsers like Google Chrome, Internet Explorer, Firefox and Safari. Works on major devices like iOS (iPhone & iPad), Android, BlackBerry, and Windows Phone. Capable to use CSS3 so that App size can be diminished and improves regular performance on any device. Ability to access Rich Media advanced UI components and Geo location features. PHP is mainly used for general purpose programming language and a server-side scripting language created for web development. Usually PHP used to create dynamic websites. It can be effortlessly mixed with HTML code, or in combination with diverse forms of templating engines and web frameworks. The PHP code is generally developed by a PHP computing, and implemented by web server's native division or CGI (Common Gateway Interface). As soon as the PHP code is computed and executed, the web server sends the conclusion output to its client, generally in the form of a part of the developed web page. PHP is widely ported and can be expanded on majority of the web servers on nearly each operating system and fields that too without any cost. As a top 5 web development companies in Chennai, We have best and well experienced PHP Developers in Chennai. 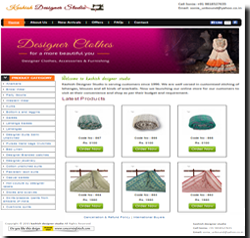 We have developed lot of websites with PHP Programming. 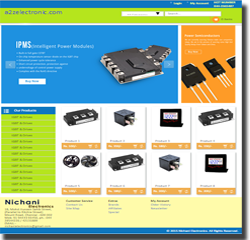 We will make CMS Websites with word press, Joomla, Drupal, PHP and experts in it. 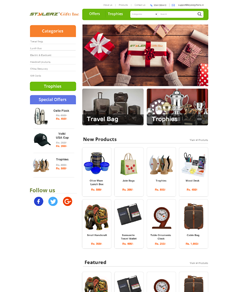 Also our team of best web developers in Chennai offers ecommerce websites with shopping cart and payment gateway features. 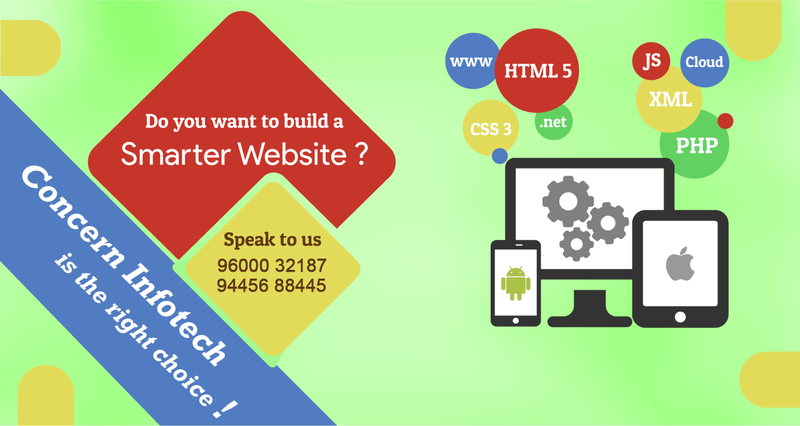 We are a best web portal development company Chennai. Joomla is an Open Source Content Management System (CMS) which can be divided into two parts as Open Source and Content Management System. Open source is a concept that basically involves allowing a community to develop and improve a piece of software. The Joomla community do what they do to make the web a better place. Lately, we had been getting a lot of Online Enquires for Marbles and Granites. We had to every time send sample either physically or through email which was expensive. Then we decided to have our own website www.mayurmarbles.in so our clients can logon and look at the samples. 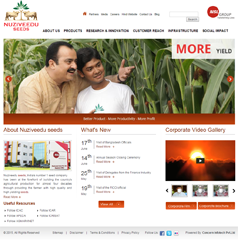 I approached "Concern Infotech Pvt Ltd" and explained the nature of my business. To my surprise, they came up with Mock up website is less than 2 days. 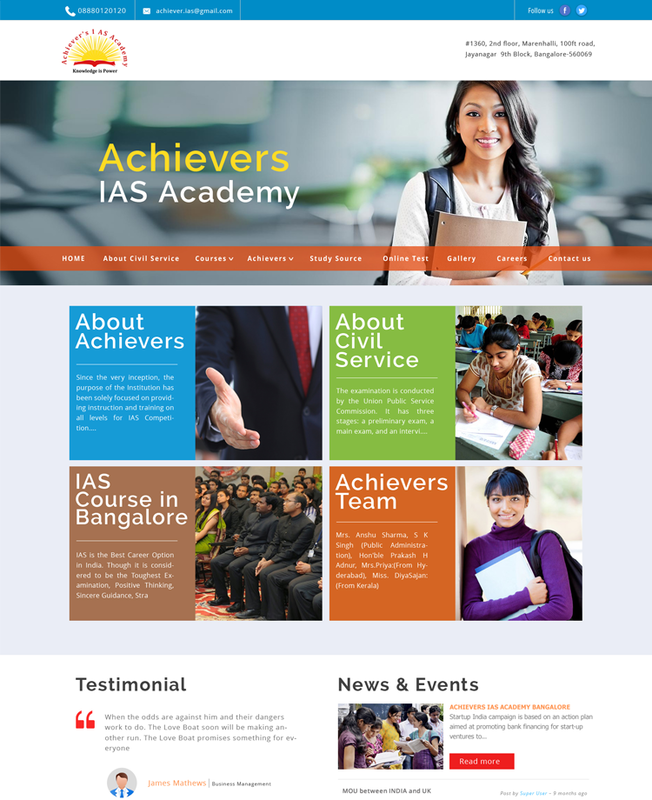 It helped my give their team some inputs (Including images1 and contents) and they had for exceeded my expectations. 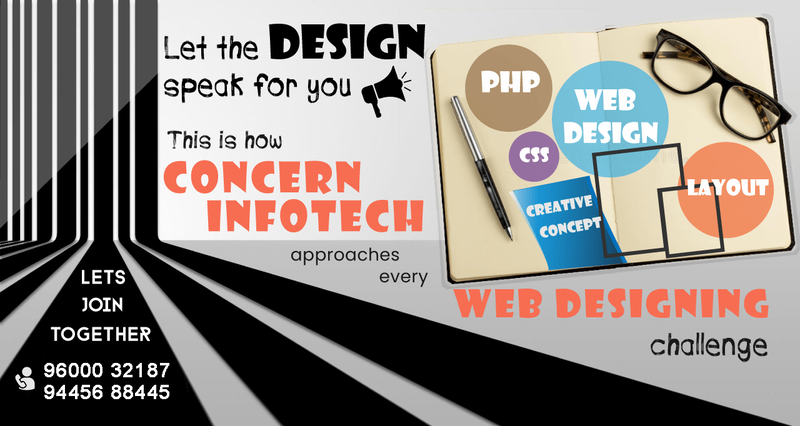 I strongly recommend Concern infotech for their professional approach, Quality Developers and post design service.